“We serve” the community of Fort Collins. 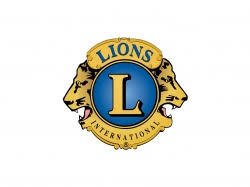 For 99 years, the Fort Collins Lions Club has been serving the community. Lions are changing the world one community at a time, by addressing needs at home and around the globe. We are 1.4 million men and women who believe that kindness matters. And when we work together, we can achieve bigger goals. Want to have fun while “serving & helping” your community? Come visit, then join us! Check us out at our weekly luncheons. April 4, 11(Elections), 18 & 25. Thursdays: Socializing & Networking starts at 11:30am. “The Lions Club was a wonderful sponsor & we extend our heart felt thanks for cooking, serving and supplying such a delicious feast.”…FC Senior Center. If you are a FC non-profit organization in need of a pancake breakfast to help your fundraising efforts, FC Lions are now scheduling our breakfasts for 2019. Call us for details. We are so glad to have helped and donated (over the past few months) to: 5th Annual Morgan County Sneaker Stroll for Juvenile Diabetes. Fort Collins Senior Center and the Fort Collins Salvation Army Bell Ringers & their toy and canned food drives, “Operation Christmas Child”, “Family In Need”. Play Bingo at “Bingo Planet” (in Loveland…29th Street & 287), Tuesday evenings, 7:00pm and Friday mornings, 11:30am. $8 for 10 games, with a minimum of $1,500 payout each session. We appreciate working with you.